Xue Mingkai (薛明凯). Photo from internet. On January 29, 2014, after breaking free from the Qufu (山东曲阜) stability maintenance office’s unlawful custody, Xue Fushun (薛福顺), father of Shandong dissident Xue Mingkai (薛明凯), went to seek protection at the Qufu Procuratorate, but he was pursued by security maintenance personnel. In this process, Xue Fushun fell to his death from a building under strange circumstances. We strongly condemn the Qufu stability maintenance office for its abusive use of extra-legal violence resulting in an unnatural death. 1. Thoroughly investigate Xue Fushun’s cause of death, including a judicial investigation and one conducted independently by citizens. All investigations should be fair and independent procedurally, and the results should be made public. The Qufu stability maintenance office, as a party [to this incident], must recuse itself from the entire course of the investigations. 2. The Qufu stability maintenance office has the obligations to preserve, and not damage, evidence in Xue Fushun’s tragic case; it shall not restrict the right of the victim’s family to appoint a lawyer; before the truth is verified, the Qufu Procuratorate has the inescapable responsibility and obligation to clarify its own role and assist the investigation. 3. The Qufu stability maintenance office should immediately cease all forms of extra-legal restrictions by force of Wang Shuqing (王淑清), Xue Mingkai’s mother, and ensure her liberty and safety, while also ensuring Xue Mingkai’s right to travel freely is not deprived. 4. A forensic examination of Xue Fushun’s body should be conducted by a competent, independent forensic examination entity from outside of Shandong Province, and its results made public. 5. The Qufu stability maintenance office and its specific responsible officers must be held legally accountable as a warning to others. We reserve the right to pursue accountability. We must point out: Xue Fushun’s death is not an isolated incident but [a result] of the ills of the stability maintenance system. Dissidents are in fact not protected by the law while stability maintenance departments can violate their human and civil rights at will, even going as far as persecuting their family members. Such atrocities have been spreading for a long time and led to many tragedies, of which Xue Fushun’s death is the latest. If we do not put a stop to unlawful means of maintaining stability, characterized by human rights violations, damage to the legal system, and destruction of the country’s normal order, these tragedies will continue to repeat themselves. We hereby solemnly call for an end to unlawful means of stability maintenance, illegal detention, and other forms of extra-legal violence, and a return to solving problems by the rule of law. This must all begin with a full investigation into the Xue Fushun tragedy. Otherwise, when freedom is denied to one, it is denied to all; when dissidents are not freed from fear, all our compatriots cannot but live in fear. 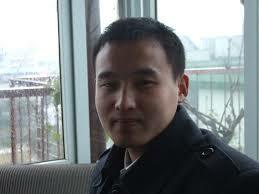 Xue Mingkai, born on October 8, 1989, in Qufu, Shandong, dissident and member of the China Democratic Party. He was jailed twice in 2010 and in 2012 on the charge of inciting subversion of State power. His father Xue Fushun and mother Wang Shuqing were also implicated. Wang Shuqing was subjected to one-year of Reeducation-Through-Labor. On September 15, 2013, Xue Mingkai was released after serving his prison sentence and was immediately taken by domestic security officers upon arrival in Hangzhou, who forcibly returned him to Shandong. Xue’s parents had been frequently subjected to unlawful control, and even sent to a mental hospital, by Qufu’s stability maintenance personnel. Beginning on January 23 of this year, they were placed under soft detention by local stability maintenance personnel in a guest house. On January 29, Xue Mingkai’s parents managed to escape and went to the Qufu Procuratorate to seek protection. But Qufu stability maintenance personnel caught up with them and took Wang Shuqing away. Wang Shuqing was later notified by the Qufu police that Xue Fushun jumped to his death from the fourth floor of the Qufu Procuratorate. By China Change in Human Rights & Civil Rights, Reports on February 4, 2014 .